We’re a team of specialists who develop high caliber management systems for enhanced food safety. 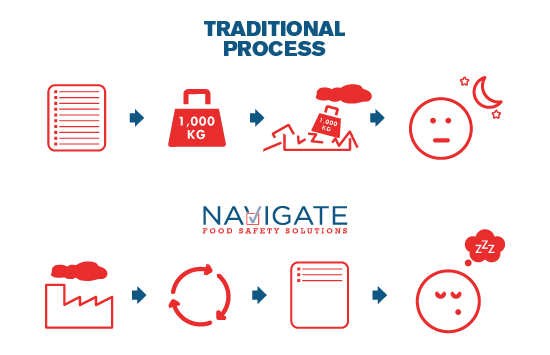 Our customers range from wanting to improve existing food safety programs, to resolve persistent concerns and sometimes, they want to build a whole new system. We design solutions that fit specific needs and that’s why we go to work every day! These are the challenges we love to take on. Our unique approach to coaching builds team capacity and inspires the desire to keep their facility operating smoothly, safely and efficiently every day. To approach each project from a holistic, practical, and light-hearted perspective. To work as much as possible within the systems you’ve established. To assess those systems and work transparently with you to identify the desired outcomes and determine the best way to acomplish those goals. To work in the most efficient and economical way possible. To cut away the red tape and focus on the most important or severe issues and design practical, hands-on, effective solutions that last. To provide a customized solution and deliver results directly related to the operations of your facility, consistent with the reality of production. To simplify your systems and implement programs that work for you.